The title (日本の名湯) translates as “Well know hot springs of Japan” and is kind of self-explanatory. 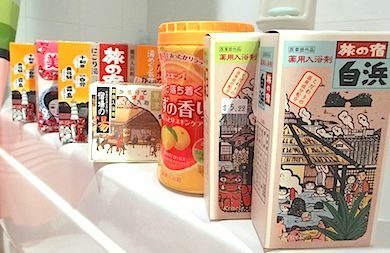 This series is made by Bathclin (バスクリン basukurin), who produces a wide range of bath additives under several brands (e.g. Pure Skin, Kikiyu). 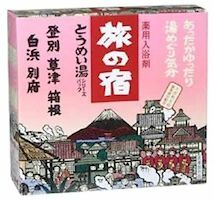 These Nihon no Meito types are packaged as 450g bottles or boxes including 5 individual sachets (30g each). 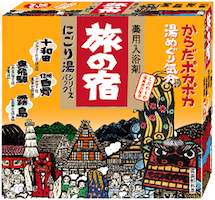 There are also assortment packs and gift packs shown on their website, and many varieties, but in the shops around here I only saw two choices on the shelves: the Noboribetsu and the Nyuto one, maybe they’re the most popular. Both are the milky white type. 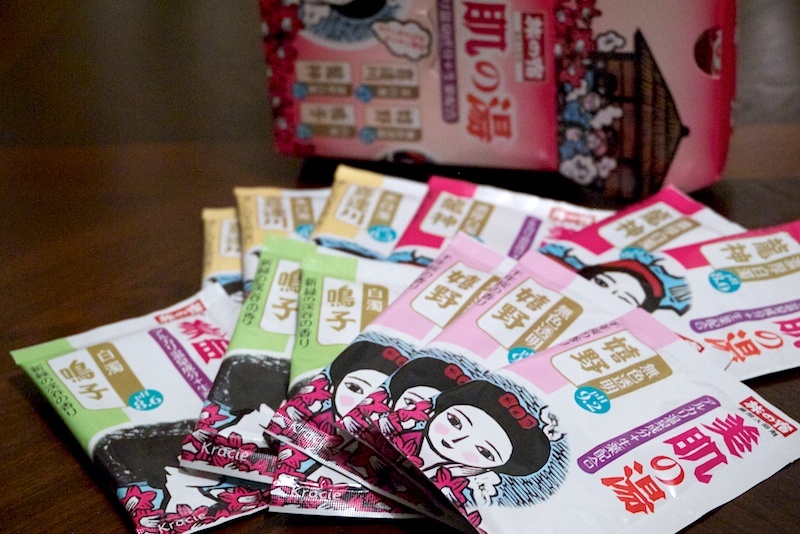 As usual, they help easing fatigue, muscle or back ache, coldness, dry skin and whatnot. Paid around $8 for a box, and bottles were for $15. So I walked into the Japanese store and found some bath salts. I was looking for something with a rose scent, and they had some big containers, but as I didn’t want to risk buying something I don’t know and wouldn’t like, I still chose a smaller variety pack. 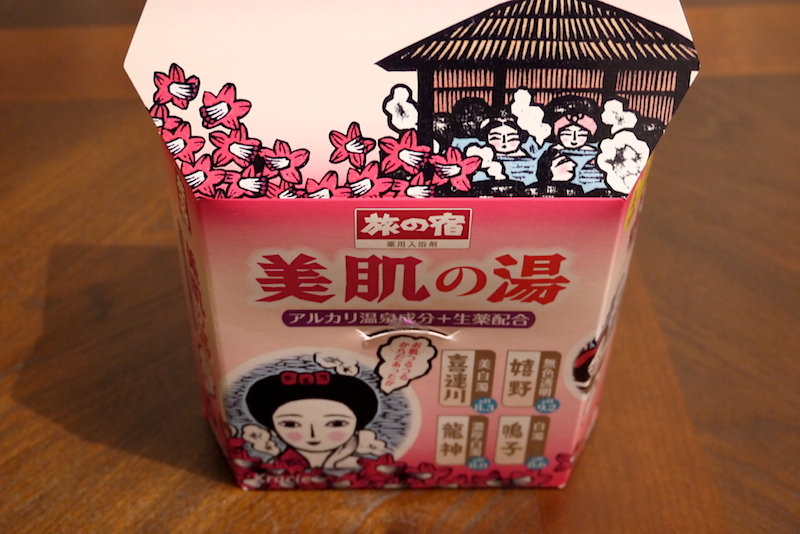 Being able to read some kanji and kana was also helpful, but asking a salesperson was a good idea too, even though some basic information is printed on the sticker, showing the ingredients and such, but the type of the product or its scent was not included. Some you can guess from the packaging, some not.